How are your locks holding up in a changing world? As the times keep changing, the need for locking doors remains very relevant. However, introducing the power of access control into your system might just be the thing you’ve been looking for to raise your bottom line. Today we’re going to be going through some of the challenges and benefits of adding access control to your toolkit. Let’s take a look. There are a few things that stop traditional locksmiths from updating. Knowledge of electronics is absolutely vital while installing electronic locks and other implements of access control. A working knowledge of IT and computer networking is also deeply important. Finally, without simple and easy to install hardware, the idea of implementing viable access control software may be unattainable. 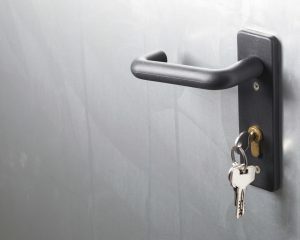 If you are currently working as a locksmith, or you offer locks as part of your company’s services, then you may want to learn more about these topics before you start offering access control. However, it is important to note that installing more sophisticated security materials is the way of the future and this type of progress cannot be ignored. The key to success in access control is to be prepared for changes. When assessing an existing system to see if it is ready for upgrades, several factors are taken into consideration. For example, the existing wiring infrastructure will exist as a foundation for the new access control system. However, you may run into issues down the line if the current system’s wiring isn’t able to accommodate a changing system. You should also make sure to keep your documentation thorough and up to date throughout any type of installation. When you have proper documentation, you can ensure not only a smooth and efficient process for yourself now, but later as well. Make notes of where each and every console is and where each element resides so that you can find it easily. This entry was posted on Friday, October 14th, 2016 at 1:35 pm. Both comments and pings are currently closed.